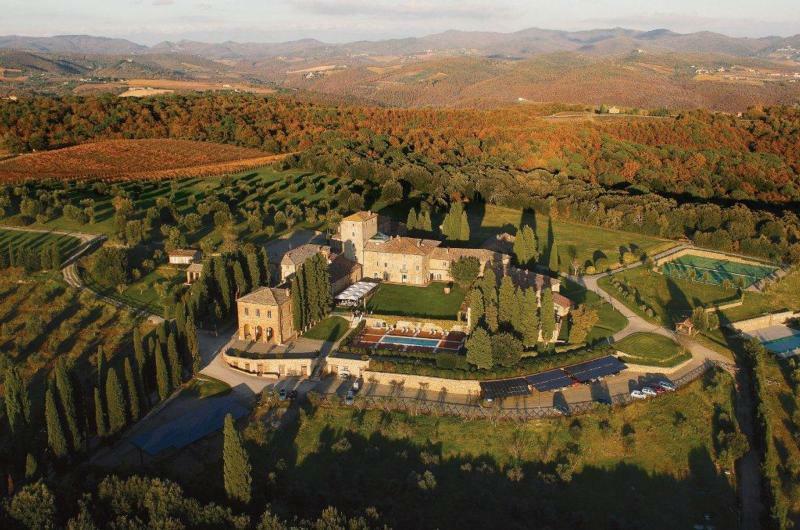 Borgo Scopeto is an old and well-established estate producer of Chianti Classico, and is a true borgo - a hamlet with its own church, post office, town center and residences. Elisabetta Gnudi owns this property, along with Altesino, Caparzo and La Doga, and she and winemaker Simone Giunti are responsible for all aspects of the production of Borgo Scopeto wines. Wine Enthusiast 90 “Enticing aromas of fragrant purple flowers, ripe woodland berries and a whiff of pressed powder waft out of the glass. Bright and juicy, the savory palate shows crushed raspberry, fleshy Morello cherry, ground clove and a hint of coffee alongside polished, fine-grained tannins.